Amazing podcasts, great ABSITE series, fascinating interviews with leaders in the field! Wish I had discovered this years ago! Started listening to this podcast a few years ago end it continues to get better every year. I directly attribute some of my surgical knowledge retention to this podcast. I first started listenting to this podcast as an intern and learned so many little tidbits that were useful on the wards. As the ABSITE review episodes came out, I quickly incorporated those into my yearly studying. I attribute a large part of my high absite scores to these reviews. You guys deserve a medal for your work. I listened to the first episode, the surgeon was very comprehensive answering each question in which the interviewer responded with âum great so...,â or âuhm thatâs awesome so...â. Terrible and awkward! First year gen surg resident here! Iâm going through the absite review and itâs fantastic- great summary podcasts of critical info and awesome q&a portions! This podcast is nothing short of incredible. As a surgical resident, this should be required curriculm.. but even as a med student or patient each podcast is incredily informative, interesting and enaging. I think my entire program is using their lectures to prepare for ABSITE and/or boards. I only wish I had found it sooner. PLEASE NEVER STOP! Very informative podcast. The absite reviews helped me pass my boards! I also love the new journal clubs. You guys are the real MVPs!!! God bless you guys! The content, the delivery, the organization... I just discovered the podcast and have been binging for the last 5 days when Iâm burnt out from studying for Step 2. Itâs still hard to believe that Iâve come across such a goldmine! You guys will have a hand in any life I save in the future. This is simply the best, most compact and most salient resource for students and surgical trainees. The contributors clearly devote more time and energy toward preparation for each episode than do many journal podcasts. The result is, quite simply, a quality product that is invaluable to this community. I commend also the surgical programs that support this effort and lend it their talent - these are the future leaders of training in our field. Best surgical podcast! Accurate, to the point. Iâm a recent graduate from a prestigious institution and working in a semi academic community position without all the accoutrements of a big academic center and really enjoy your podcast to supplement my need and desire for academia. Thorough and easy to listen to! So much bang for your buck which is crucial given how little time we all have each day! The time and effort that is put into building a great show with inspiring and engaging topics shows. Thanks for being THE surgery podcast! Excellent! Will certainly be a review I reference not only for ABSITE but throughout my year-long rotations. Itâs clear the effort you guys put into this, Iâm sure will be a staple for residents for years to come. Letâs dominate! Thanks for hard work. This is the best surgery podcast Iâve ever listened to. Please keep up the good work. I am a current 5th year resident and I love this podcast. It provides extremely useful reviews for the written and oral boards. I have recommended it to all my fellow residents. The discussions hit on all the most high yield topics. The discussions are rapid yet also thorough. The best way to study for these exams is to use multiple modalities. I have no doubt that scores on these exams will improve because of this podcast. The creators of the podcast are innovators and deserve a lot of credit. Great podcast for anyone serious about surgery. I listen while driving on a regular basis and love it. Their ABSITE review sessions are on point, concise, and an amazing study adjunct. Keep up the strong work! I have learned an incredible amount from this podcast and value the succinct presentation of clinically relevant techniques, debates and updates from the experts. Many of the residents have started to listen to this. Please continue your excellent work!! one of a kind podcast. great oral and absite review. Great podcast for surgical residents. Great topics. Great content. Great discussions. Highly recommend. Great podcast even for medical students going into the surgical field. Offers a broad scope of both diagnostic and therapeutic options, while also combining high yield absite facts with newly published research. Highly recommended to friends and colleagues pursuing general surgery. I accidentally started listening to this podcast last year when searching for topics related to ab workouts. Now I am a board-certified general surgeon with a thriving practice and I owe it all to you. Thanks! Really enjoy this podcast and find the ABSITE reviews especially helpful. Thanks for putting it on! I'm an MS4 applying General Surgery. I discovered BKA towards the end of my 3rd year and love it. I am spamming the episodes while on the interview trail. The programing helps me to feel connected to current issues in the surgical community and is a great way to cover material from leaders in the field! Thank you for the great work guys! Thank you all so much for this wonderful series. I'll be a surgical intern this coming July and your podcasts not only has gotten me excited about starting residency, but also confident that it will be okay. Your episodes are such a joy to listen to and I hope you keep up this wonderful work! All the best and thank you for all you do! Studying for oral exams and found this very helpful. The mock oral scenarios were great. Hearing how experts handle tough scenarios or even standard scenarios is also great review. Highlights from conferences were great too. Love Scott Steele's sign off of "Dominate the Day." Keep it coming! Great for residents of all levels. Been listening since the beginning. Super appreciative of the absite review I got three question from my drive into work on the review. Thanks to Dr. Martin too, he was super tuned in to what they were gonna ask this year! This is a great source for general surgery residents. Thanks for putting this on. Also, the absite review is fantastic. The lecture series for Absite has been fantastic. I was introduced to the podcast during this time period. Looking forward to going through older episodes once absite is over. Great podcast, always learn something. I finished my residency 15 years ago and I've been trying to find a podcast to refresh my basic surgical knowledge. I think I finally found one. I've been listening to this for the past 6 months. It is great! It not only provides basic surgical knowledge in a succinct format, it also ties it into every day surgical practice. Keep up the good work! Love this podcast! Perfect for the drive to and from work. I try and look for topic we're discussing that week to help with extra prep. Recommend it to all my co-residents, often. I was looking for something I could listen to on the drive to work or at the gym. So glad I finally found this Podcast. Very well-produced. Covers topics geared towards my interests as a resident. Love the subsections that help break up the format--compliments my ever-shrinking attentions span. This is the first podcast I recommend to my fellow residents. you have supplanted audio dugest surgery for me. I like to get to know these surgical experts and what they have to say. This is a fantastic resource for medical students interested in general surgery and general surgery residents. Keep up the good work. I love it! I absolutely love listening to this podcast. It is entertaining and so informative. I love getting to know some of the great surgeons of our time and hear their expert opinions. It is a great resource for budding surgeons. What a wonderful contribution to surgical education. I was very fortunate to stumble upon this podcast. Every episode is topical and engaging. Keep up the great work! I recently received a second hernia repair at the same site. Even though my surgeon was in a hurry during pre-op appts, the hernia podcast answered all my questions and then some. 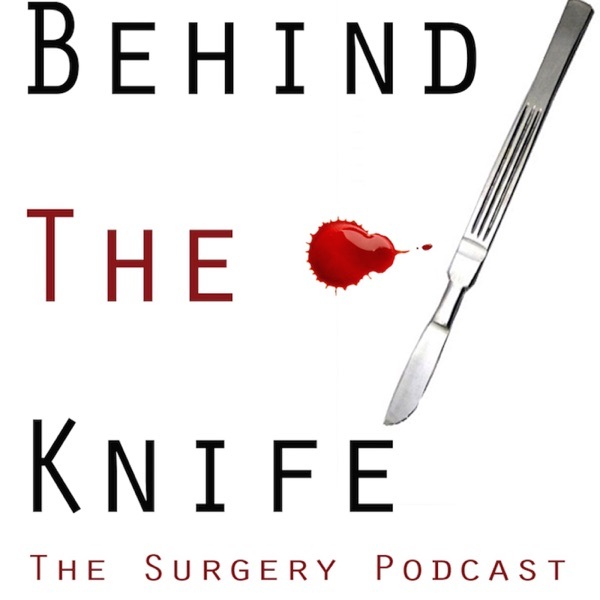 I recommend this podcast to any patient who wants detailed information about a procedure, even if embarrassed to ask their own surgeon about how it all happens. Excellent quality podcast. Informative and entertaining. Thank you. A favorite; and I'm not in medicine! This podcast is one of my favorite listens and I'm not in the medical field at all! The guest speakers are well spoken and very intelligent. Many of the episodes are tailored towards surgeons, but many others are accessible to an intelligent non professional as well.A good example is the episode on doctor burnout and complications, which clearly shows that yes, our doctors are human.Keep up the great work!